Do you have a small to a big yard? If you do, then watering plants is an essential part of any garden. You need to take care of them using a garden hose. However, as important as it is to water plants you need to take care of the garden hose as well. To keep the hosepipe in excellent condition, you probably want to take a look at the best garden hose stands here. You can buy the hosepipe stand in different shapes and sizes and each one made of different materials. To help you with your search in choosing the right one look at our top 10 garden hose stands reviewed here. With the right garden hose reel, it helps to keep the garden hose stored and in tip-top condition to use all year round. The Yard Butler Deluxe has a 12-gauge powder coated steel construction. 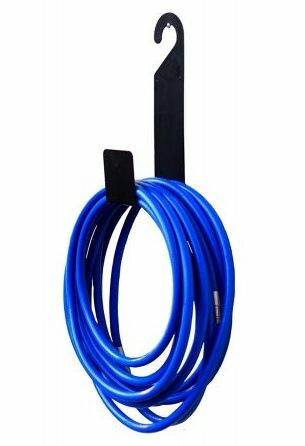 The garden hose stands mounts to the wall to keep the garden hose secure and neatly stored away. The holder holds up to 125 feet of hose and available in bright colors to use in your garden. You will immediately see once you start rolling off the garden hose it has no kinks, tangles, or crimps in it. The stand is 13-inches wide and stands 7-inches high with a depth of 7-inches. 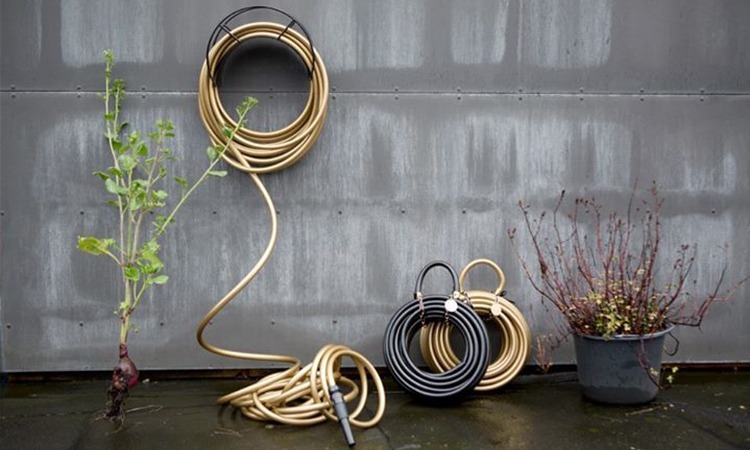 The Finelady garden hose stands you can hang from a fence, wall, or faucet. The beautiful thing is the holder prevents the garden hose from tangling. You can use it to hold shorter hoses and hosepipes measuring up to 100 feet long. The hanger has a steel structure, is rust-resistant, and needs no assembly to mount. To keep garden tools and electrical wires neatly stored in the garage or home the heavy-duty garden hose holder works perfectly. If you need a garden hose stand to use around the yard, the Yard Butler HC-2 has a freestanding design that is sure to please you. With the stand, you can extend your hosepipes use as it has a heavy-duty bracing that prevents the platform from sagging. You can place the Yard Butler near stables, planting beds, and gardens. Included you receive a lifetime warranty. 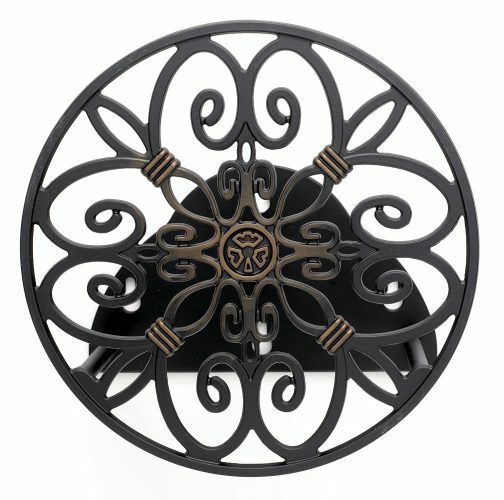 The Liberty Garden Products garden hose stand has a cast aluminum construction and rust-resistant. The reel holds up to 125-feet of hosepipe. The exteriors powder coated and weather resistant. The designs attractive and fits in with any garden décor. Installing the garden hose butler is undemanding with the keyhole mounting system, but you need to buy the mounting hardware separately. For a simple garden hose stand to keep your hosepipe neatly stored you need the Liberty Garden Products metal holder. You can place up to 125-feet of hosepipe on the stand. The construction of the post is powder coated and perfect to leave outdoors throughout the year. There is no assembly needed; it has three anchor points to mount, and easily movable if needed. The hosepipe reels made of steel to last for years. 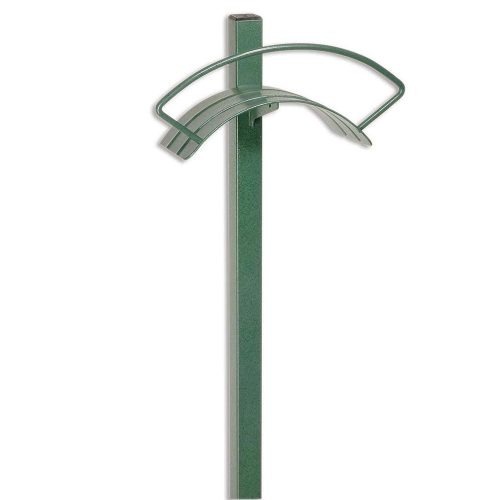 Do you need a tall and substantial garden hose holder made with a quality look at the American Gardenworks stand? With the supporting rod, you can quickly place it on the ground with the built-in step. The rod measures ½ -inch and you can move it from one place to another. The structure’s steel with rust-resistant powder coating and measures 13-inches wide by 45-inches high. The hosepipe capacity is up to 75-feet. For residential and industrial use to keep the hosepipe neatly stored away you need the Liberty Garden Products hose stand. 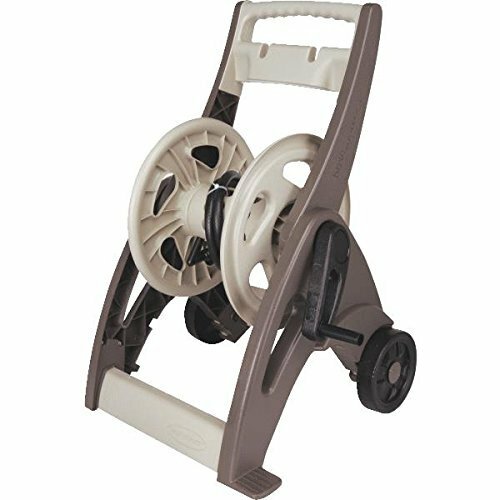 The reel holds up to 150-feet of hosepipe and has a durable steel structure with powder coating. You can mount it with concrete or compact soil making it easier to move around. 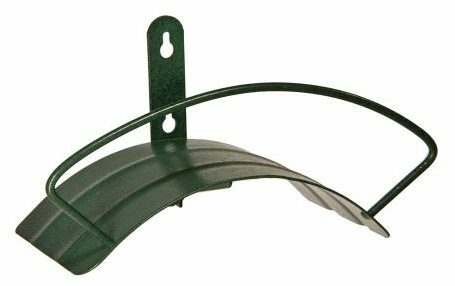 The 692 metal garden hose stand offers you the versatility to use the mount anywhere if needed. The heavy steel construction of the Panacea garden hose stand will keep the hosepipe in your garden stored neatly. The exteriors powder coated and finished with a black color. The downward curl holds the hosepipe neatly stored in keeping its bend. The stand measures 15.375-inches wide and has a height of 48-inches. There is a step-in base with 10-inch anchors for ease of removing. 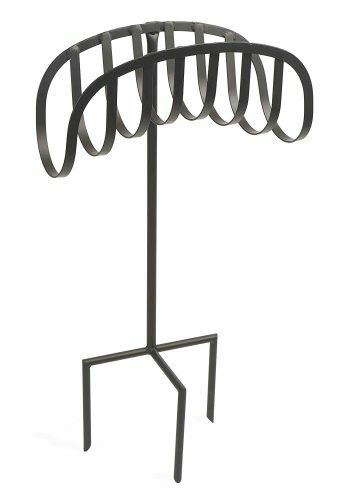 For an elegant scroll designed garden hose stand to fit in with your garden décor choose the 649-KD from Liberty Garden Products. Place up to 125-feet of hosepipe on the reel and install it with the step-down and two anchor points. The steel structure ensures the platform stands for years of use and is powder coated making it weather resistant. 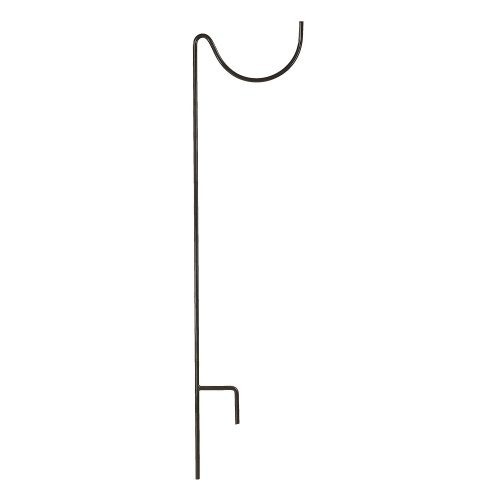 You can add some Mediterranean flair to your garden with the 649-KD hosepipe stand. The framework measures 4.1-inches high and has a width of 12-inches with a depth of 8.25-inches. Nothing is more comfortable to use than the Suncast Hosemobile hosepipe cart. If you want, the best garden hose stand, this is one to buy. You can keep the garden hose neat and tidy, and it holds up to 175-feet of hosepipe. You can use it with a standard ⅝-inch vinyl hose, and it arrives fully assembled. The stand offers you hands-free rewinding by flipping the lever. You can keep the garden hose safely stored in the home and cart it out to the yard when needed. The dimension of the product is 24-inches wide and stands 20-inches height with a depth of 32-inches. There is a secure link connection to secure the hose reel and the hosepipe. Prevent knick and tangles in the hosepipe with the following top 10 garden hose stands in 2019 reviewed here. Whether you need a hosepipe reel to mount against the wall or free standing you can find a durable one here. Each of the manufacturers presented on our list knows what you need and make sure you get a versatile and easy to use garden hose reel to keep the hosepipe stored away neatly and secure. You can even find a garden hose platform with wheels to cart around with you.